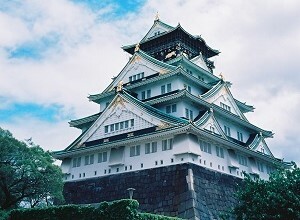 Osaka is the capital city of Osaka Prefecture and the second largest metropolitan area in Japan. Osaka has over 19 million inhabitants. Osaka’s downtown area for shopping, food and nightlife is Dotonbori. You will know you have walked into Dotonbori by the large signs lining the streets above your head. From a large octopus looming over you to the famous Glico Running Man, you will know right away when you are in Dotonbori. One of Osaka’s major attractions is the Kaiyukan aquarium. This aquarium is world-renowned for its recreation of the natural environment of its Pacific creatures. The most popular marine animals in the Kaiyukan are the whale sharks. One famous dish, okonomiyaki, is eaten amongst locals regularly. The Osakan-style okonomiyaki, also known as Japanese soul food, is a type of pancake with meat or fish, green onion, shredded cabbage, eggs and any other fixings the eater desires!